especialista en Brno. Contacta conmigo si necesitas un Stand en Brno. Brno is the one of the largest cities in the Czech Republic making it a great place to bring your business. But it also has more competition to overcome. You need better exhibition booths and a more effective marketing strategy. We can help you create that unique and noticeable stand to help you stand out among the crowd. Creating an outstanding booth at a tradeshow can be harder said than done when you don’t have access to all the necessary resources. That is where we come in. 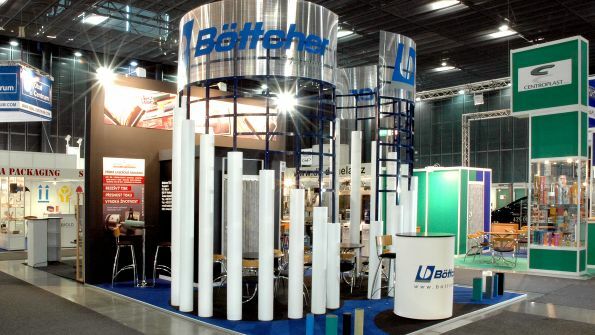 We have established relationships with local contractors and exhibition stand companies, and we are determined to provide you with the best methods to market your company. Our first service is to bring you the best five proposals that we can find from exhibition stands in Brno, free of charge. To help save you additional time, we will use our experience and knowledge to select the best floor plan and design to fit the specific needs of your company at the trade show. Our goal is to help you surpass your competition by not only helping you stand out at your trade show, but by helping you save time setting up your booth. That saved time can ultimately be diverted back into your business, again giving you a leg up against your opponents. Give us the chance to make this your most successful marketing event by letting us take care of all the background work while you manage the company. Thank you for your time. We hope to hear from you soon. Brno Exhibition Center provides a wide exhibition area with many services to provide their exhibitors. It was awarded Building of the Century in 2000 for its excellence architecture and it is a prestigious venue for many organizers. OREA Hotel Voronez offers accommodation from travelers as well as event hosting space for organizers. It is located at a convenient distance from the airport in Brno making it a great place to host events. Profintech is an international fair for surface technology and will be providing equipment for cleaning and surface treatment, as well as many other treatments. IMT is a trade show to show the international Engineering Fair. It will display machine tools and forming machines. Fond-Ex is a trade show directed to the professionals and producers of technology and equipment. Guests are regularly leaders of the Czech market but other exhibitors and guests are welcomed from other countries.